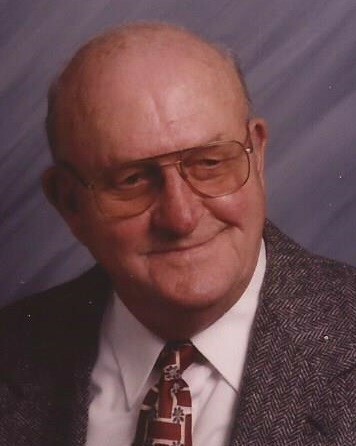 On Wednesday, November 21, 2018, Robert Kinsey, passed at Sunrise of Alexandria. He was 86 years old. Robert was a resident of Alexandria and Arlington, VA for the majority of his life. Robert was born in Woodbine, Maryland to Edna and Howard Kinsey. He lived in Arlington, VA for over 60 years before moving to Alexandria. After retirement until 2005 he spent a lot of time in Acapulco, Mexico. He also volunteered at the Reagan National Airport, traveled to Thailand, Honduras and Europe. He was a devoted Washington Nationals and Redskins fan. Robert graduated from Virginia Polytech Institute in 1953 with a degree in Civil Engineering. After he graduated, he served in the Army as a First Lieutenant in the Corps of Engineers. He was stationed in Fort Belvoir, VA and Alaska. After the army he was employed for 25 years by the engineering firm Walter Phillips, Inc, in Falls Church, VA. During his tenure, he was president and on the Board of Directors. Mr. Kinsey is predeceased by his parents, Edna and Howard, his sister Dorothy Richardson her husband Harvey. He is survived by his nieces, Mari Richardson of California, Janet Humphries (John) of Florida, Susan Yurcisin (Glen) of New Jersey and Jennifer McGraw (Ryan) of Ohio, his cousins Mary Jane Holle of Maryland and William Gosnell of Utah. Robert will forever be remembered by his many nieces and nephews, extended family and dear friends. Friends and family are invited to celebrate Robert’s life on Saturday, December 1st, 10 am to 12 pm at Everly Wheatley Funeral Home, 1500 West Braddock Road, Alexandria, VA.